The advent of the iphone app store has fostered a movement and an outlet for developers to jump on the Apple bandwagon and make some real money. Spending long days on design, programming, web hosting, and all sorts of topics can be very exhausting and developers are turning to an escape from their normal day to day tasks. 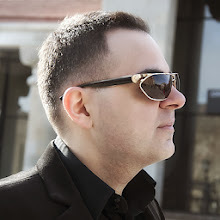 Applications are springing up everywhere, are written about every topic, and have an audience of thousands and rising. How can developers join this momentum and create applications that will sell? There are a few things to look at before you begin, as well as some great applications and programs already available. Choosing a subject for your application is the first crucial step. It does not have to be the most creative and original idea, it just has to cater to a market that is looking for a solution to their problem. Look around at the everyday things you work on and what others use and think about on a daily basis. The app should provide some functionality, save the user time and resources, and provide some type of enjoyable experience. Start opening your eyes and ears and observing people and you will find something that will make someone’s life a little easier or happier. Just remember, virtually anything can become an iphone application. For the serious developers, Apple offers a program which gives you the tools and instruction to develop your own applications and sell them in the Apple store. Development tools such as Xcode and the iphone simulator are included as well as videos and documents detailing best practices and guidelines to help you get started. In addition, there is a forum platform where you can ask questions and get needed feedback concerning the process and the program. When you have finished your project, free web hosting is available, as well as the ability to sell it in their store for a small percentage of the profits. If you need to do some work on the go, iphone applications and tutorials are currently available specifically for developers to make their job easier. The first is “Developer Notes”, built exclusively for the web development and software audience. You can assign specific tasks, organize notes and due dates, and email you or others, all in one interface. “Source viewer” is another handy application which enables you to view the HTML source code of a website in an easy to read format. Lastly, tutorials can be found on the web. They are specifically designed to help developers who are branching into the iphone application arena. 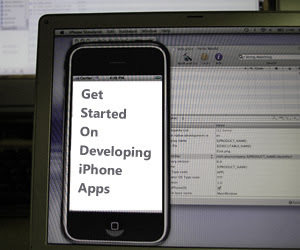 Search for online databases of free iphone SDK tutorials. These sessions will supply a foundation for development and give you the tools necessary for building applications utilizing different coding platforms. After the typical, boring discussions on design, web hosting, and test servers, developers need an outlet to get creative and generate some revenue. Creating iphone applications can be very rewarding and worthwhile, and it is easy to get started on the journey. As you can see, there are many resources available for the beginner and advanced developer, allowing for a smooth learning curve and a painless experience.